New York, NY Meridian Capital Group has initiated a new retail leasing division, Meridian Retail Leasing, which will focus on representing both landlords and tenants in retail leasing transactions across all types of retail real estate. The division’s New York City platform will be led by seasoned industry veteran James Famularo. Meridian's announcement and buildout of a retail leasing platform comes at a formative point in the company's history and will allow for a major disruption in New York City’s retail leasing landscape. Meridian Retail Leasing will build upon Meridian’s proven debt capital markets and investment sales capabilities and will include a scalable model in which the Company intends to recruit and cultivate promising brokers as part of its expansion. While Mr. Famularo has historically closed approximately 100 leasing transactions per year, the ambition in joining Meridian will allow for this number to increase several fold. 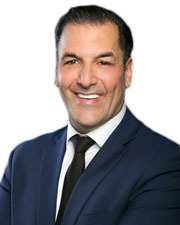 Famularo elected to join Meridian because of the Company’s culture, leadership, transaction-focused mentality, and dominance in New York City’s financing and investment sales markets. Famularo notes that over its 27 years in business, Meridian has cultivated the largest client base of landlords in his native market of New York City and can now provide another significant value-add to its clients. Meridian’s entrance into retail leasing is yet another step in the company’s evolution into a full-service real estate services advisor. "Retail leasing will substantially expand the services we offer clients," explained Ralph Herzka, Meridian's Founder and CEO. "Our mission here is clear: To build a best-in-class retail leasing team and infrastructure that will combine the expertise of proven leasing professionals led by James with the vision and client service levels that have driven Meridian's success.” Yoni Goodman, who serves as President of Meridian Investment Sales and has other management responsibilities across the firm added: “We are truly delighted to welcome James to the Meridian family. He brings with him the track record of achievement and professional integrity around which we will grow our retail leasing business." Prior to joining Meridian, Famularo leased over one million square feet in New York City and is a specialist in leasing fashion, food and fitness spaces. Over the course of nearly two decades in commercial real estate, Famularo has worked on numerous notable projects including Jacadi at 106 Reade Street, Livly at 108 Reade Street, Fueguia 1833 at 21 Crosby Street, The Hunt & Fish Club, a 12,000 square foot steakhouse at 125 West 44th Street, Bann SoHo, a 10,000 s/f Korean barbeque restaurant at 206 Spring Street, Y7 Yoga at 54 West 39th St., Shape House at 34 West 17th St., I Love Kickboxing at 43 Essex St., and many others.